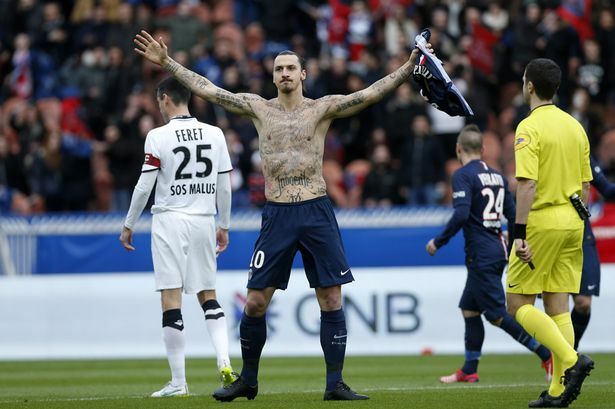 Zlatan Ibrahimovic is definitely not having the greatest time of his life at the moment. It’s not long back when he found out that Manchester United was not going to stretch his contract any further and that would definitely have pinched him a little bit because he had shown his spark in patches at United and would have hoped for a retention for sure, but, more than being dumped by a foreign club, what would hurt him even more is to know that his own country people are not too keen to watch him on the pitch either. Recently the rumours had surfaced that Zlatan was considering an international comeback and the striker himself added fuel to those rumours by putting a video on social media in which he could be seen in a pair of shoes that had the national flag displayed on it. The Swedish media highlighted that video and tried to portray it as a hint dropped by Zlatan that he was willing to don his national colours again. Subsequently, they carried out a poll on that as well and asked for the opinion of the fans if they wanted their legendary player to be back in action for the country and the result of that poll was shocking to say the least because more than half of the fans who participated in the poll voted against the rumoured comeback of the talismanic striker. However, Lars Lagerback who was in charge of Swedish national team for a majority of the last decade is of the view that if Zlatan is fit enough, there’s no harm in slotting him back into the national set up. When he is there, Sweden is always at advantage because of the charisma that he possesses.